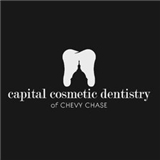 Capital Cosmetic Dentistry (Chevy Chase) - Book Appointment Online! Very well run and clean dental office! Friendly and knowledgeable team that pay attention to the details and provide a relaxing environment! Very highly recommend!